Front row (left to right): Marion Short; Herman Franklin; Jewel Michael; Alton Franklin; Glen Thompson; Carl Burns. Middle row (left to right): Leonard Meyers; Wayne Clawson; Frank Walton; Raymond Parks; Fred Pickett. 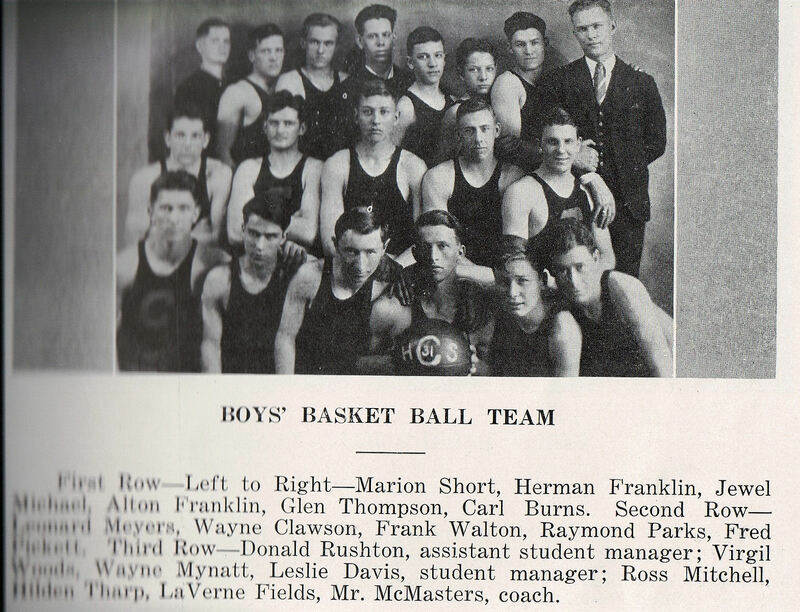 Back row: Donald Rushton (assistant student manager); Virgil Woods; Wayne Mynatt; Leslie Davis (student manager); Ross Mitchell; Hilden Tharp; LaVerne Fields; Mr. McMasters (coach).